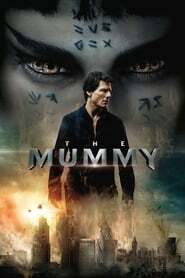 Synopsis: An ancient Egyptian princess is awakened from her crypt beneath the desert, bringing with her malevolence grown over millennia, and terrors that defy human comprehension. Synopsis: The Autobots learn of a Cybertronian spacecraft hidden on the moon, and race against the Decepticons to reach it and to learn its secrets. Synopsis: Jake Pentecost, son of Stacker Pentecost, reunites with Mako Mori to lead a new generation of Jaeger pilots, including rival Lambert and 15-year-old hacker Amara, against a new Kaiju threat. Synopsis: Never take your mistress on an annual guys’ getaway, especially one devoted to hunting – a violent lesson for three wealthy married men. Synopsis: After having escaped the Maze, the Gladers now face a new set of challenges on the open roads of a desolate landscape filled with unimaginable obstacles. Synopsis: When her boyfriend dumps her before their exotic vacation, a young woman persuades her ultra-cautious mother to travel with her to paradise, with unexpected results.